At ICFF 2014, mature design reclaimed the stage. With other exhibit opportunities for up-and-coming designers—WantedDesign and Sight Unseen Offsite, along with the Industry City venue in Brooklyn—established manufacturers set the tenor of the show this year. Further cementing the show’s place near the top of the trade show hierarchy, many of the exhibitors that displayed their wares at Salone del Mobile in Milan a few short weeks ago were also present in New York. Here are six products that stood out to AN among the rows of exhibitors. 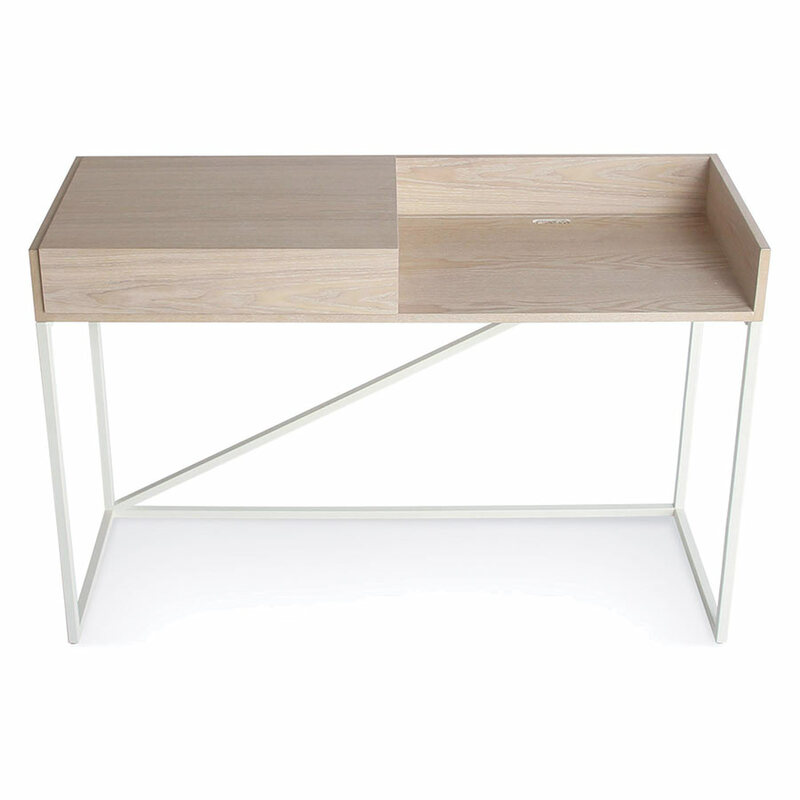 A split-level sliding top and drawer stretch the storage capacity of this neo-modern, white-ash desk. Legs in white or grey. Topped by a shallow, cup-like shade of oak or wenge veneer, the fixture uses a LED light source; also available in floor and table models. Designed by Joan Gaspar. 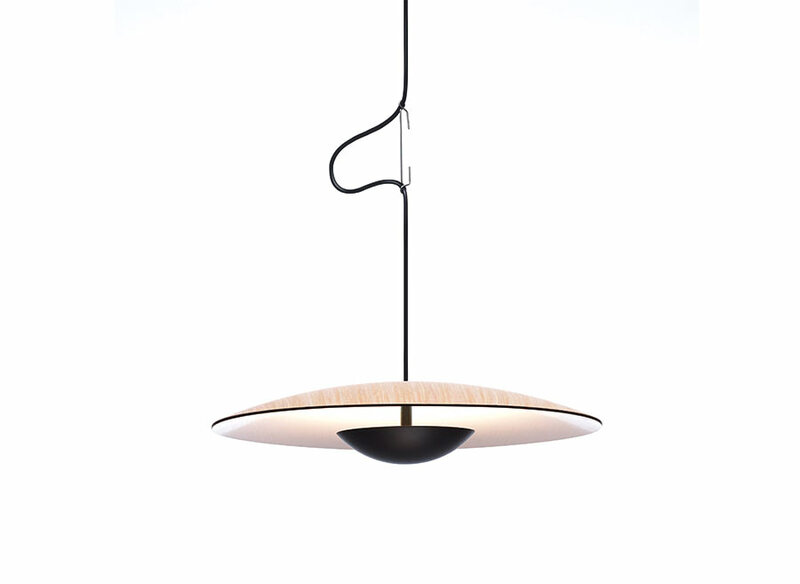 Concealed at the top and bottom of the fixture, LED lamps cast light upwards and downwards, casting shadows from the metal, cage-like shade. 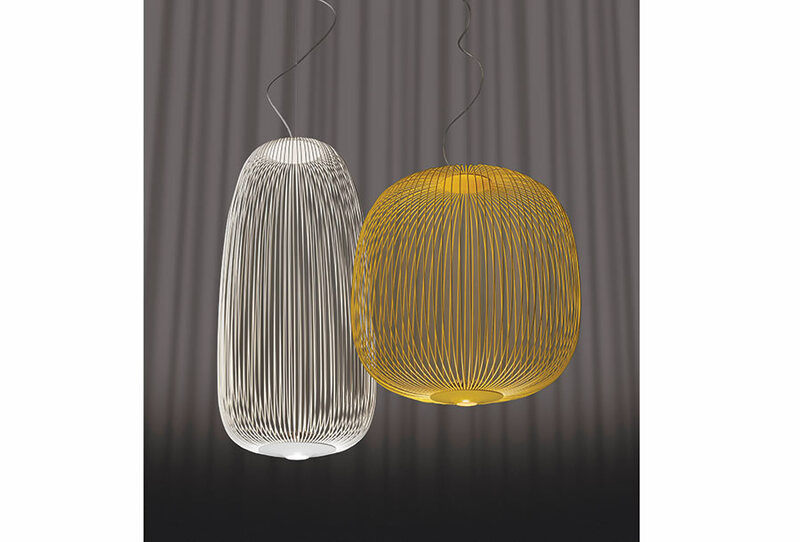 Designed by Vicente Garcia Jimenez and Cinzia Cumini. 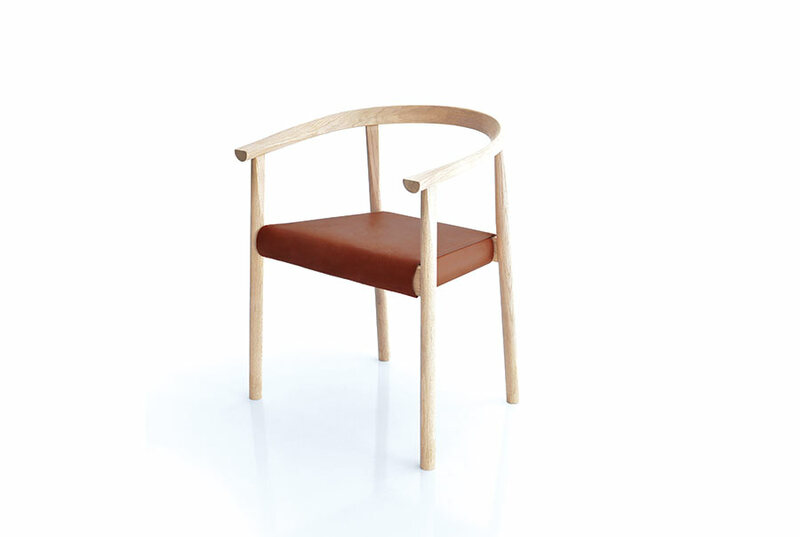 With aesthetic lineage extending to Danish and Japanese design, the slightly torqued armrests of this solid wood chair are key to its contemporary presence. In black ash, walnut, white ash, and white oak, with a leather seat. 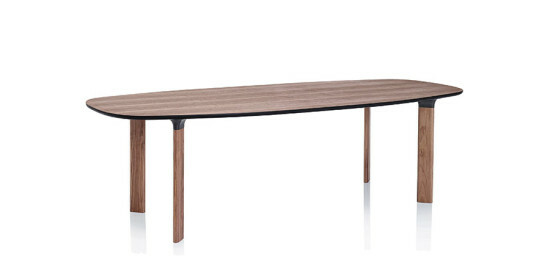 Designed by Niels Bendtsen. 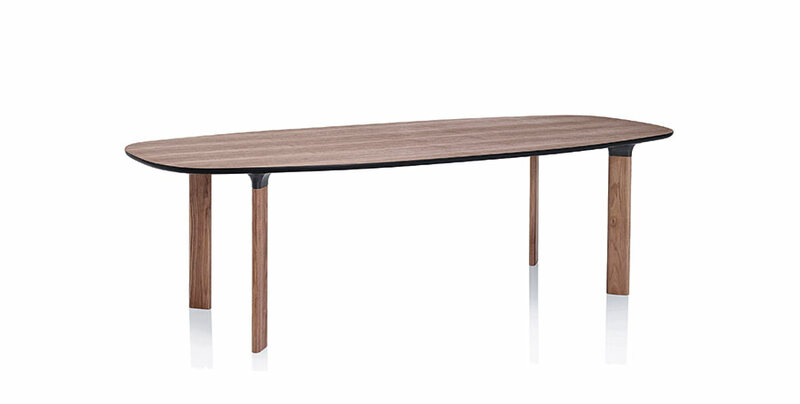 Merging square, circle, and oval into an inviting, unique form, the legs of this table are angled to allow more comfortable seating. In five colors and finishes, it is suitable for home or office use. Designed by Jaime Hayon. 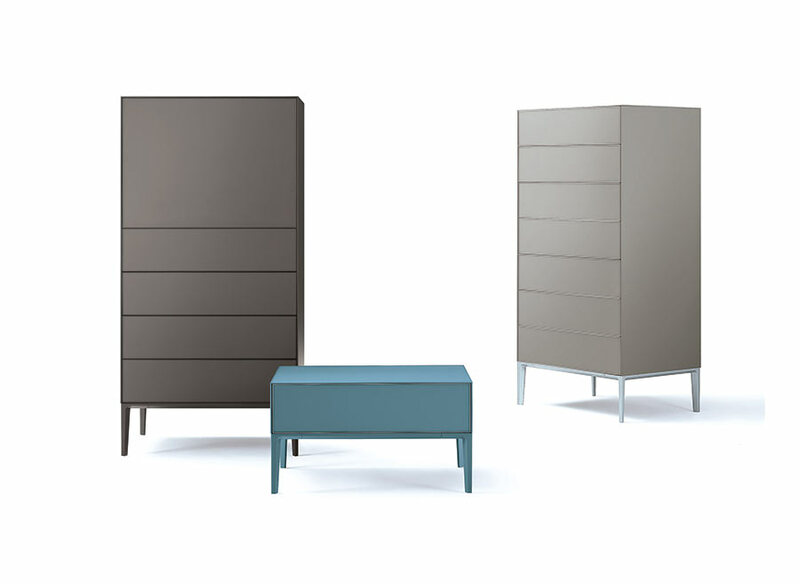 Classic dressers, nightstands, and sideboards are revitalized in lacquered glass and aluminum frames and feet. Available in 62 colors. Designed by Giuseppe Bavuso.